Why Invest in Gold Stocks? 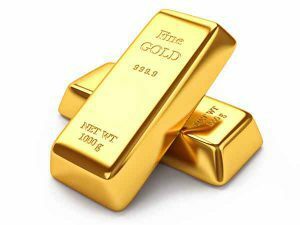 There is often a lot of confusion about why people choose to invest their hard-earned money into Gold. That is a question that we will tackle in a post all to itself. Rather, the question that we will tackle here is ‘why would investors choose to buy gold stocks’? One thing that needs to be understood is that there are various types of gold stocks; stage of development, exposure to gold, production vs exploration, senior producers, junior exploration, royalty, streaming and the list goes on and on. This is our list of gold stocks, with a number of sortable filters for you to compare and contrast various companies. We offer two unique fields that we believe will be of particular interest for gold investors, (i) Volume Deviation [VolD] and (ii) Market Capitalization / Proven & Probable Reserves [MC / PP]. Volume Deviation measures correlation between the current volume against the 3 month daily average. Market Capitalization / Proven & Probable Ratio provides a value-based measurement between the value of the company and their exisiting gold reserves.